This is ideally a recipe for winter season. In Dubai, winters are so special. The weather is pleasant – sunny, not too hot and not cold… just right… everyone is out taking in the perfectly balanced natural elements. Parks are full with families barbecuing… the smell of grilled meats mingled with charcoal in the air…. Sighhh…. I am dreaming about winter, while sweltering in this heat. Temperature has hit 45 degrees and above and it is humid and sweaty and you have to think twice before stepping out during the day. But I wanted to eat kebabs and so I made them. 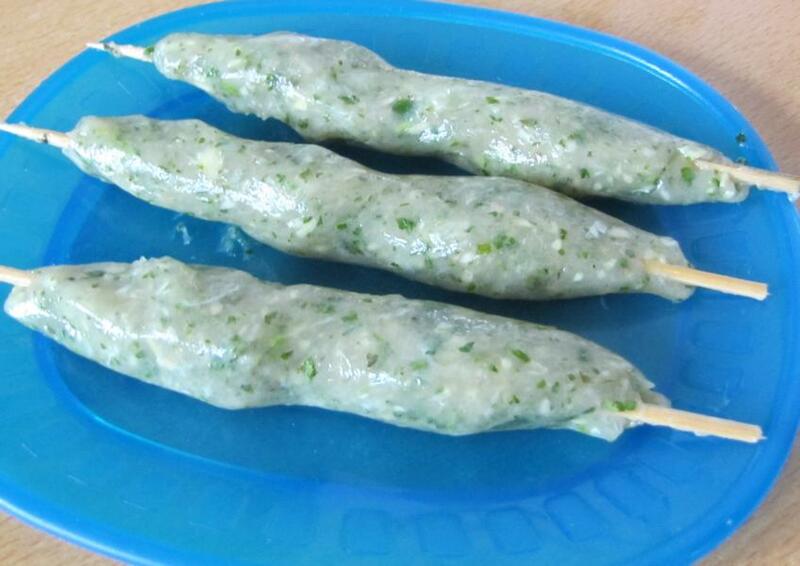 I love seekh kebabs and every-time I would eat them out, I used to think about trying them at home. Finally around a year back, I did another experimental session and came up with these. 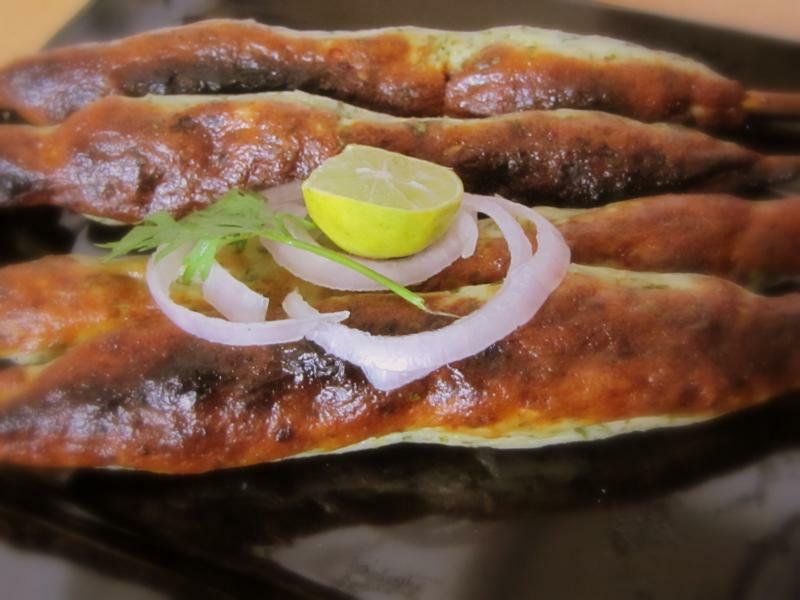 In India, seekh kebabs are commonly made of red meat. But I prefer to make it with chicken as it is easier to cook and healthier as compared to red meats. 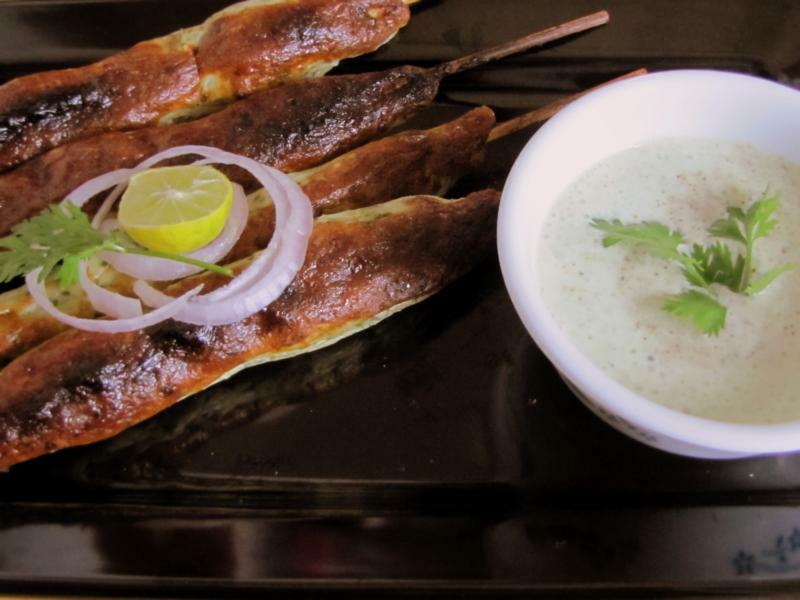 They are perfect with the mint and coriander dip which is so refreshing in this heat! Cut the chicken into small pieces and mince it in the food-processor. Add ginger, garlic, green chilies, mint and coriander to the minced chicken and process it once again till all the ingredients are blended well and you get a smooth mince paste. Wet the wooden skewers properly so that they don’t burn. Rub some oil onto your palms and fingers so that the mince does not stick and wrap portions of the mince around the skewers. Then, if the weather permits, take them out and barbecue them! Or else grill them in the oven. I just roasted them on the gas in a non-stick pan with a few drops of oil. Keep turning them till they turn brown and are cooked through. Enjoy this melt-in-your mouth treat on a lazy evening with some mint and coriander dip! 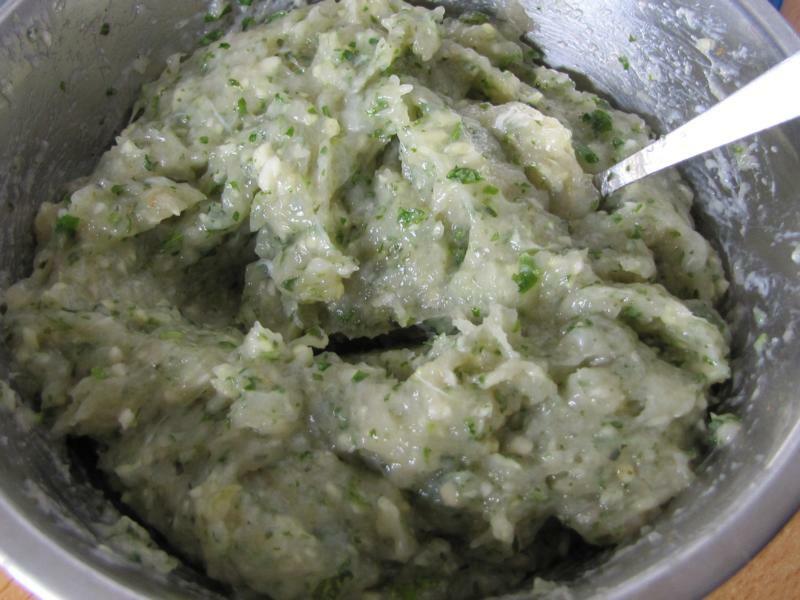 In a food processor, mince the chicken, ginger, garlic, green chilies, mint and coriander. Transfer this to a bowl and add salt to taste, mace powder and yoghurt and mix well. Wet the skewers. 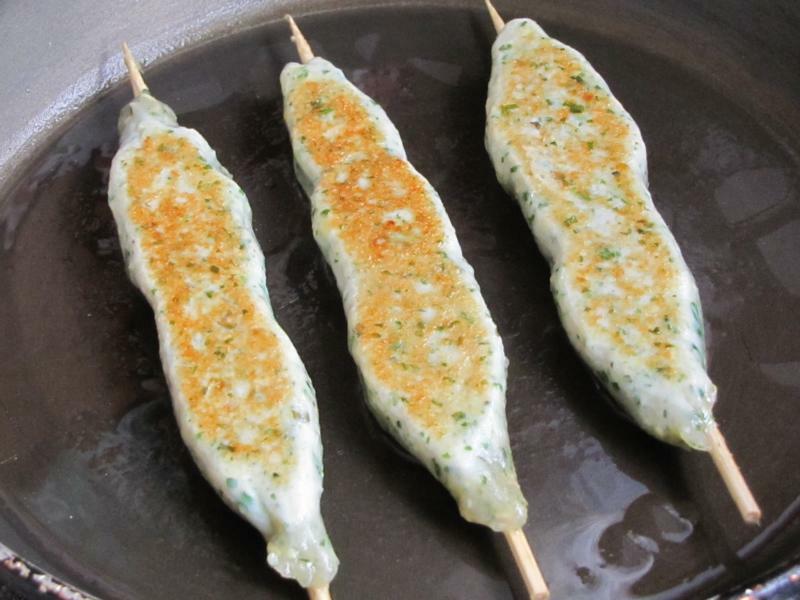 Rub your hands with a little oil and wrap portions of chicken mince around the skewers and shape them vertically. Flatten it a bit so that it is easier to cook. You can barbecue or grill if preferred. If cooking on gas, in a non stick pan, pour 1- 2 tblsp of oil and keep the chicken on the skewers one by one. Let it roast on medium flame. Keep turning them every few minutes to cook the chicken evenly. This would take around 10-15 minutes till it turns brown. For the dip, blend all the ingredients to a smooth mixture. Add salt to taste. Serve hot with the mint and coriander dip.